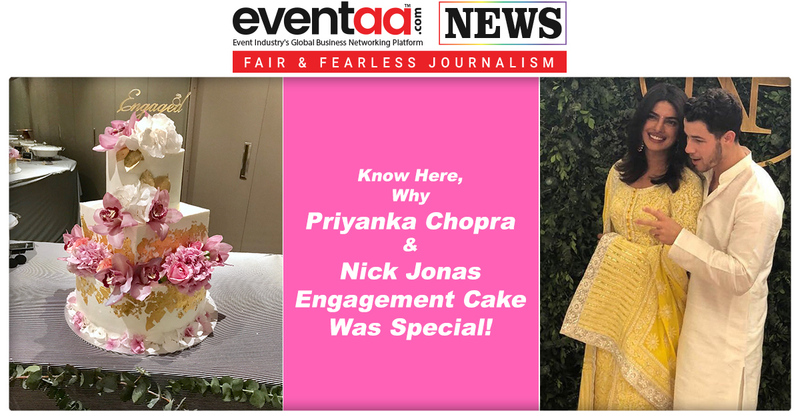 Home News & Update English Know here, why Priyanka Chopra and Nick Jonas engagement cake was special! Since the last couple of days, everyone is talking about Priyanka Chopra and Nick Jonas' engagement. The talk about their engage has taken the internet by storm. 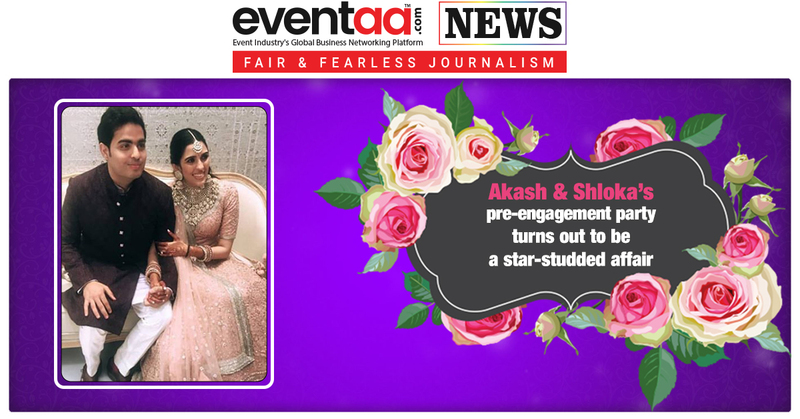 The two got officially engaged on Saturday and even threw a big bash for all their friends and family to celebrate the occasion. After the engagement party, now a photo of the cake from their engagement party has surfaced online. 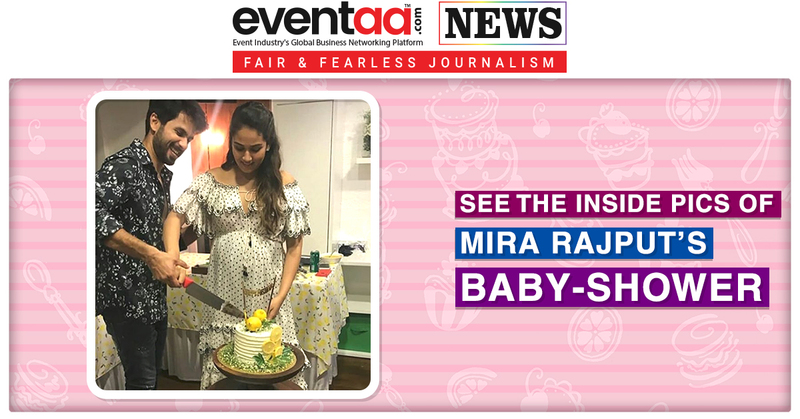 The engagement cake is creating a buzz over the internet for its beauty as the massive white, and pink cake with floral designs on it caught everybody's attention. It was nothing short of the fancy cakes one sees at weddings. So, what is so special about the cake? The huge cake weighed a whopping 15 kilograms, and it took three men to carry it. Of course, for such a big occasion, the cake was as special as the couple. The cake was adorned with 24 k gold leaf, gorgeous pink cymbidium orchids, hydrangeas and berries. 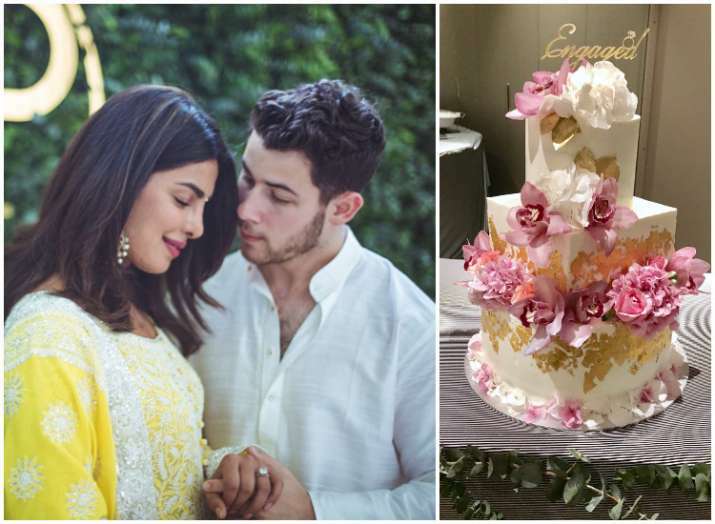 The engagement cake for Nick-Priyanka has been designed by pastry chef Vahishta Zandbaf of Tier Nom Patisserie, which is one cake place famous among the celebrities. 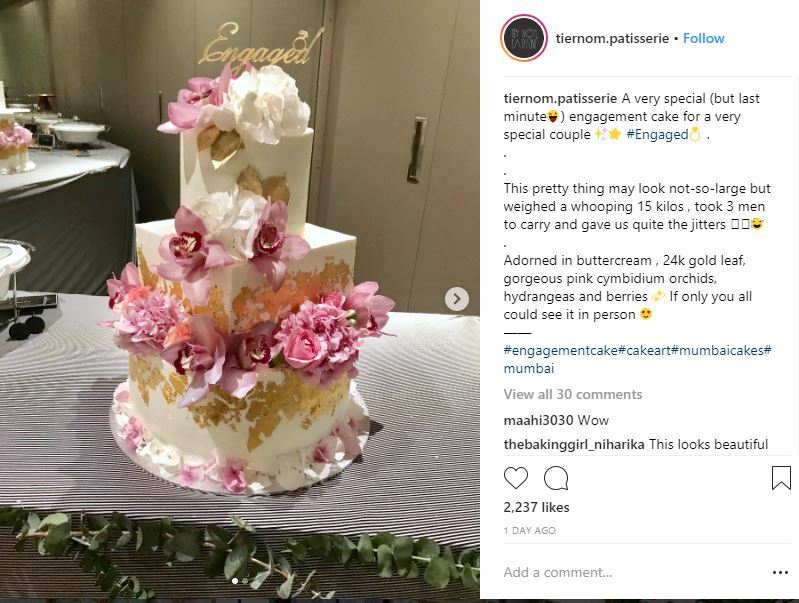 The official Instagram page of the patisserie shared the picture and a video of the lovely cake, and caption it as, "A very special (but last minute) engagement cake for a very special couple #Engaged. This pretty thing may look not-so-large but weighed a whopping 15 kilos, took 3 men to carry and gave us quite the jitters. Adorned in buttercream, 24k gold leaf, gorgeous pink cymbidium orchids, hydrangeas and berries. If only you all could see it in person." Undoubtedly, this three-tier beautiful cake must have marked their new beginning with a flavorsome experience. Eventaa.com wishes Priyanka Chopra and Nick Jonas congratulations for their engagement!